True to the principals of the Discovery Group, Discovery Health’s number one priority is that of the continuous improvement and perfection of their service delivery, pursuing the ideal of “being the best service organisation in the world”. In the pursuit of this vision Discovery Health maintains total commitment to the management of quality within every aspect of the organisation. Discovery Health is one of the leading and most well established medical aid companies in South Africa. With a strong foundation, in the form of the Discovery Group, Discovery Health offers it’s clients, both corporate and individuals, quality service and some of the best medical aid products in the country. 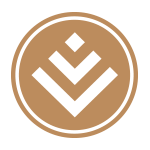 With products catering to every income bracket it’s clear that Discovery Health is dedicated to the health and welfare of South Africa. Cover when it is most needed, in an emergency. Medicine and counseling for chronic illness. Cover for day-to-day medical expenses. 90 Day medical cover overseas. Due to certain agreements, Discovery Health provides full cover at a majority of specialists and medical doctors.